Well, we are officially half way through 2018… Didn’t that go by quickly?! Are you feeling on track? Are you making progress towards the goals you wanted to achieve this year? If you’re not feeling quite on top of your game – you’re not alone. Mid-year can be a difficult time, not only because of the darker, colder, rainier weather requiring more of our physical energy to go about our days, but also because by this time, many of us are realising that perhaps we haven’t made quite as much progress towards our goals as we were hoping to make by now. With our heads down, working away, it’s easy to get caught-up in the never-ending to do list, and lose a bit of clarity and connection to what we’re doing. So I invite you to pause with me for a moment, and do a quick recap of the last six months, so that you can give yourself a fresh start as we head into the second half of the year. + What has or is going well? + What have you accomplished already in the last 6 months? (Hint: it’s not just about what you ‘got done’). For example: What have you learned? What have you tried? What have you achieved? What have you let go of? What important or memorable conversations have you had? What good things have happened? What are you proud of? What are the three (or more) highlights of the last 6 months? Now that you’ve done a bit of an audit, what is it that you’d like to focus on for the rest of the year? + What is the one goal or milestone that you’d like to reach? You can repeat this exercise as many times as you need over the next 6 months to help you remain focused and keep making steady progress. 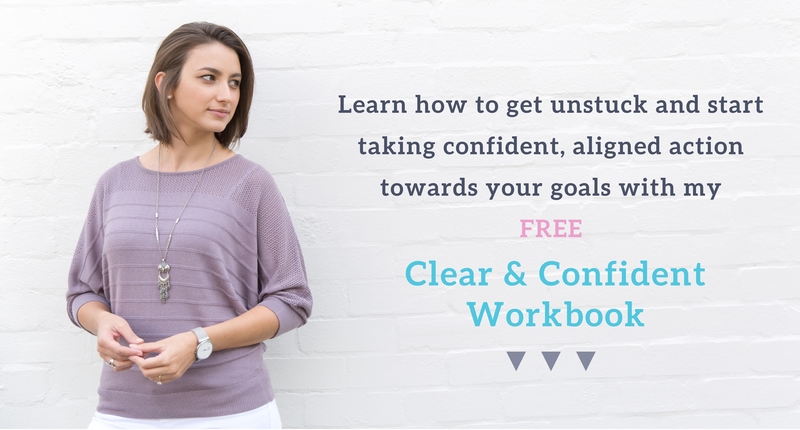 If you’d like some further guidance in clarifying your goals and releasing any pressure, confusion, or overwhelm that may have built-up over the last 6 months, grab your free copy of my Clear & Confident Workbook – a resource to help you tackle any stuck points and regain energy and excitement about working towards your goals. May the next six months be filled with clear focus, uplifting energy, and exciting momentum towards where you want to be. Receive your FREE copy plus exclusive lessons, insights, and tips from me by joining my e-mail community below.